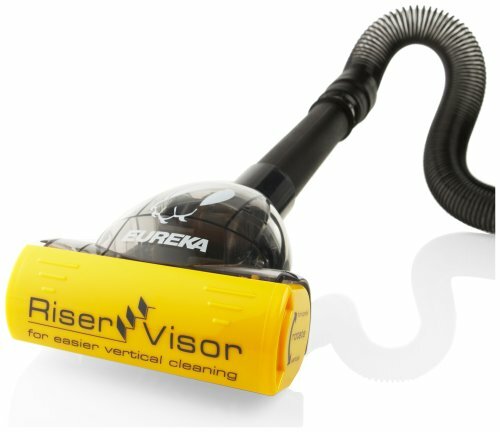 The BOSS SMART VAC captures dirt other cleaners don't and on more surfaces. 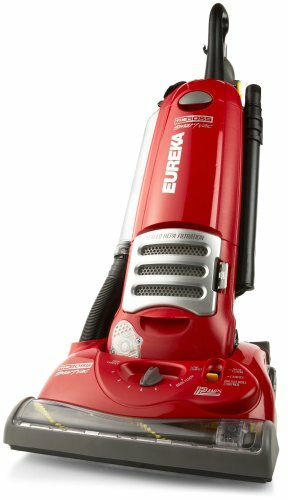 This model has an Eureka patented SEALED HEPA system . 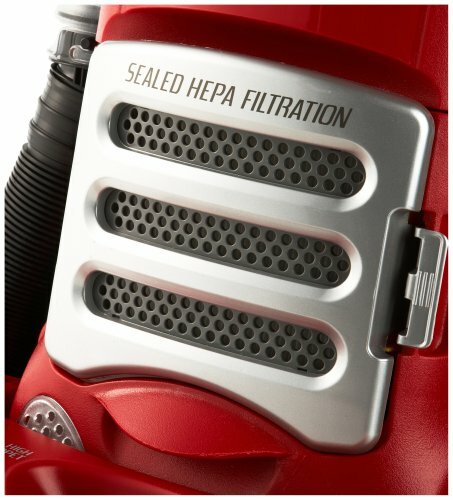 A system that filters all the fine dirt through the HEPA filter for cleaner indoor air. 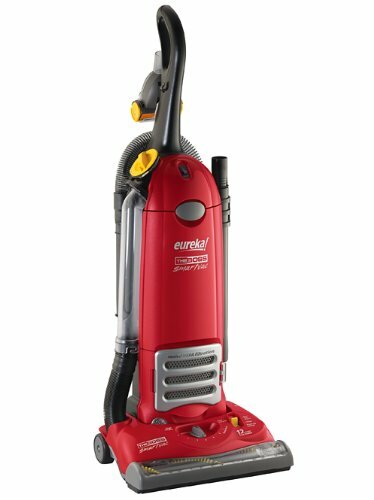 It comes complete with on-board tools and a Power Paw Turbo that's designed for vertical cleaning of stairs and upholstery. 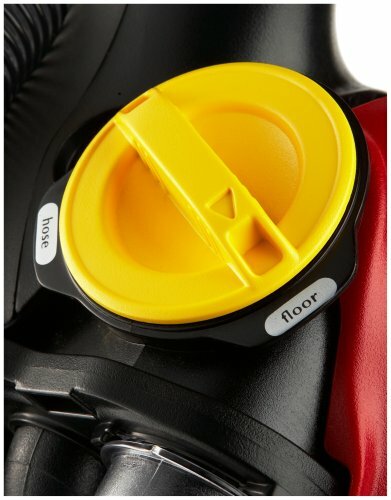 When the unit is on in an upright position it is designed for the brushroll not to spin. 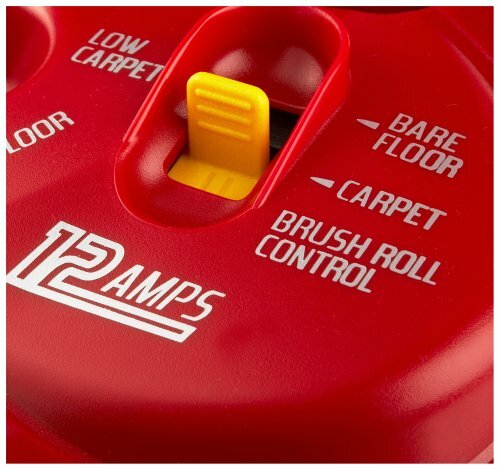 This setup is designed to protect the consumer's carpet. 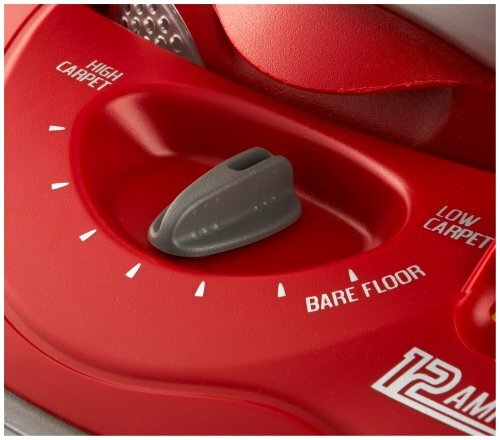 It is possible to re-position the tab that switches from barefloors to carpets in the "upright position". The tab is intended to move only when the unit is moved out of its upright position.